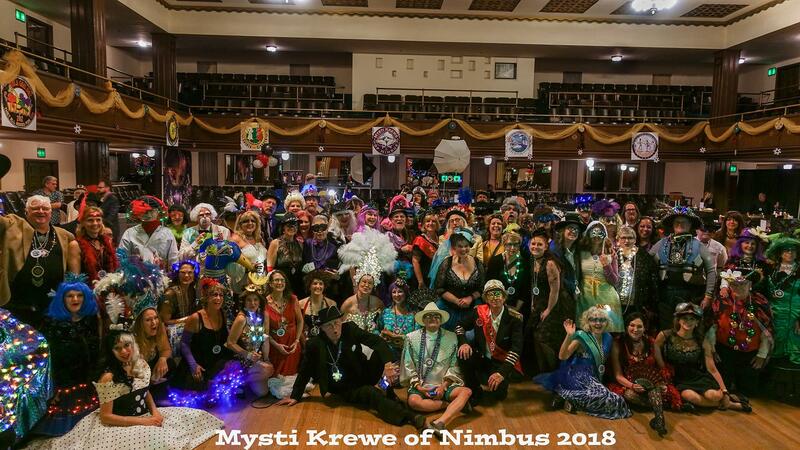 Mysti Krewe of Nimbus incorporates as many Mardi Gras traditions as possible in the Portland Mardi Gras Ball. If you’ve ever wondered why there is a baby in the king cake, or even WHAT IS a king cake, we’ll try to explain! 1. What *is* Mardi Gras and why celebrate it? Mardi Gras is the Tuesday before Ash Wednesday. Ash Wednesday is the start of Lenten season, where traditionally people are asked to give up something for 40 days. Mardi Gras is the last big hurrah before Lent. It’s also the American version of Carnival. Nearly every country has some sort of Carnival celebration around this time of year. 3. 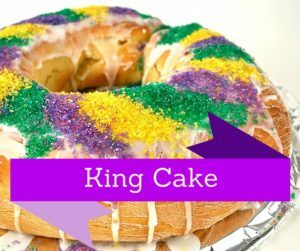 What is King Cake? King cake is a round raised dough cake, much like a coffee cake. It’s covered with frosting, and the traditional Fat Tuesday colors of purple (justice), green (faith) and gold (power) sugar. Each cake contains a small plastic baby. Whoever gets the baby in their slice of cake gets to either buy the next cake and/or host the next Mardi Gras Party. 2. 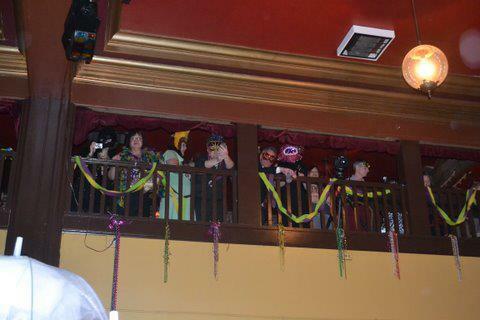 Why wait until January 6th to announce the Portland Mardi Gras Ball theme this year? 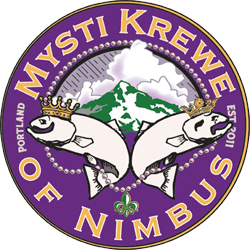 January 6th/Twelth Night/Epiphany signals the end of the Christmas season and the beginning of Mardi Gras season in Louisiana. New Orleans Krewes start throwing balls and parties leading up to Mardi Gras Day and various parades. 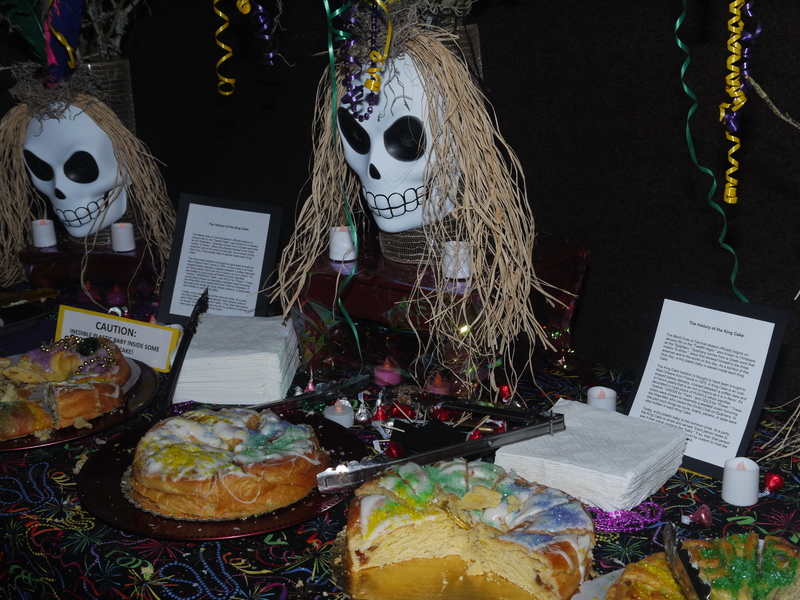 It’s also the appropriate time to enjoy king cake. The strings of shiny plastic beads that symbolize Mardi Gras started with the Rex parade in the early 20th century. Originally made of glass, they were a souvenir, and a way for the different parade krewes to connect with their audiences. 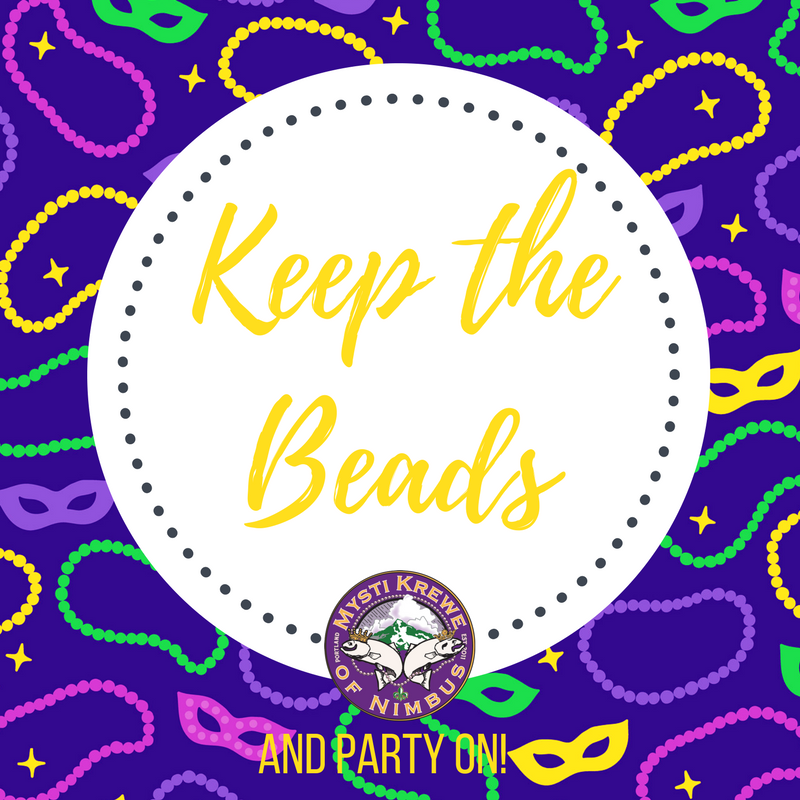 It’s not neccessary to remove clothing to get the attention of a bead-thrower – a simple “Throw me something, Mister” – the traditional parade shout – is enough to win more beads than you know what to do with! 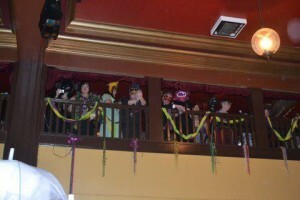 During the 2012 Ball, beads were tossed from the upper balcony to the costumed dancers below. Want to know more? 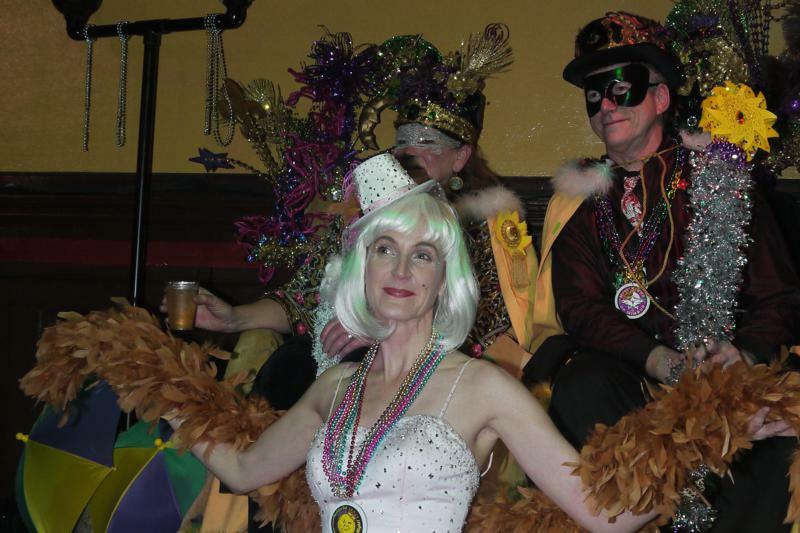 Check out this page from New Orleans Online about Mardi Gras Traditions!